In a world of instant results, people have come to expect instant gratification from their marketing investments. When a user performs a Google search query, their results are returned in under a second. Your marketing efforts often aren’t so instantaneous. You can spend months and months trying to improve your organic search presence in an effort to land among the page one links. Organic search engine marketing is hard – it takes time and dedication to get right. On the other hand, you can implement a paid marketing strategy like Google AdWords for more tangible, and faster, results. This is not to say that organic internet marketing tactics don’t work and shouldn’t be used as part of a comprehensive strategy. Adding a PPC strategy into your marketing plan is one of the best ways to get ahead now while you also spend time working on your organic presence. There’s no denying that Google AdWords is an instant way to get your website in front of people. By using the right keywords and crafting the right ads, and sometimes even targeting return users, you can create a really successful PPC campaign. If done correctly, you can see massive gains from those PPC campaigns. 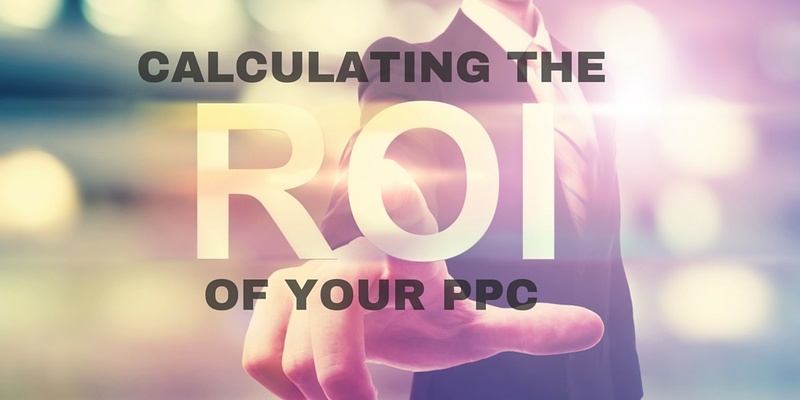 Let’s take a look at the ROI of PPC and how to win with your paid campaigns. The beauty of Google AdWords is the depth of customization. You have control over your ads, spend, audience, and more down to the smallest detail. Getting your business in front of exactly the right customer isn’t always easy with more traditional, organic marketing tactics. With PPC, you know your ads are serving to the right people. Simply put, you’ll never know the value of PPC until you try it. Adding PPC marketing to your marketing strategy may not be the right move for everyone. But if done with care, PPC campaigns can work for B2B, B2C, and ecommerce companies alike. If you’re not sure of the value PPC could bring to your marketing strategy, we encourage you to try a test campaign. Testing is a cornerstone of any good AdWords practice. You should test, optimize, and re-test often – not just when you’re new to the PPC game. Testing allows you to gather the data you want from the audiences that are important to you. Without this data, we can’t begin to make educated decisions about the ROI of any PPC campaign. New campaigns and ads should be left to run for at least two weeks to gather a good baseline of data. This is when you can start to sort through valuable metrics like clicks, impressions, click-through-rate, average cost-per-click, and conversions to name a few. Understanding an applying these metrics will allow you to calculate real, actual ROI from your PPC campaigns – something that’s not as easy to do with organic marketing campaigns. In this example, you can see data for a fairly new search network campaign. We want to focus in on number of impressions, CTR (click-through-rate,) average CPC (cost-per-click,) average position, conversions, cost per conversions, conversion rate, etc. We’ll use this data through-out the rest of this blog post to calculate ROI data. This means that this business’s Return On Ad Spend is 192%. At a high-level, they’re not only breaking even from a PPC campaign, but profiting. 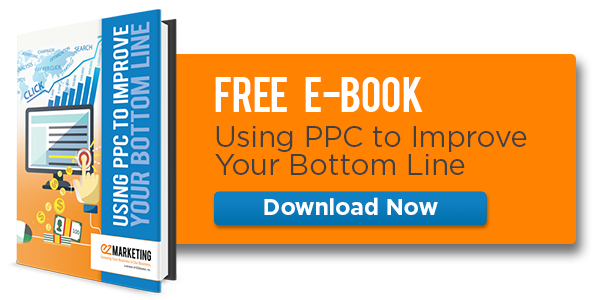 If your cost begins to outweigh your profit, you should revisit those PPC campaigns. This is where you need to edit and optimize your campaigns to bring ROAS positive. You’ll also want to understand how valuable impressions and clicks are to your bottom-line. Profit per impressions and clicks goes beyond the usual click-through rate and conversion data and gives you another valuable metric to gauge the value of your ads. Too many people spend time racking up impressions and clicks on poor-value ads without understanding how these numbers actually effect their spend. In the case of this example, we can see that impressions aren’t costing this business much in total. On the other hand, we can see this business is paying more on average for a click than they are making. Even though we saw a positive Return on Ad Spend in the previous calculation, there is room for improvement. It would be a good idea to find ways to drive the Cost Per Click closer to the profit per click to ensure more is being made than spent. Return on ad spend, profit per impression, and profit per click are just a few, high-level numbers you can quickly calculate to your ROI on your AdWords campaigns. There are many, more complicated numbers you can dive into to really see how PPC affects your bottom line. In all of your calculations, don’t forget about the obvious data you have. Sometimes, no math is needed to see if something is or is not working. In the example about, the cost per conversion is around $260. We used a total sales value of $312 to calculate profit per impression and click. We can clearly see that a conversion costs less than the value of a sale for this business, adding more positive ROI to this PPC campaign. These metrics are quick and easy to use. They allow you to make educated decisions when editing and optimizing your PPC campaigns. Instead of following the best practices you think you know data can give you hard evidence of what’s working, and what’s not. Remember, if PPC is making you money, you’re already seeing a good ROI.